Earlier this month, I was lucky enough to be able to work with Babe Box, a Canadian company located in Toronto. Each season they release a new box for $10 (full-sized products for only $10 a season? Hell ya!) filled with awesome, seasonal friendly items. They aren’t the typical box subscription company where you purchase once and a box comes every month (or in this case, season). You can get the box each season on your own terms. How great is that? No having to worry about whether you’ve opted out or will accidentally be charged. I was incredibly excited to receive my Babe Box in the mail. It’s getting a bunch of surprises in a box, but surprises you know are going to be fun to try out. I decided that I’m going to be releasing reviews from the box once a week. Since I’m currently recovering from transsphenoidal surgery for Cushing’s Disease, it has been a long time coming since I’ve been able to go shopping and enjoy anything girly. 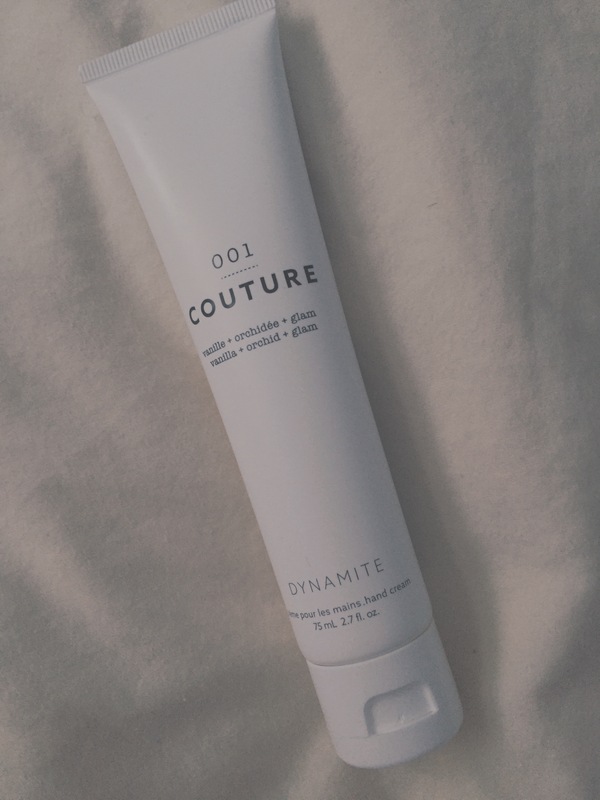 For the product I chose for this week’s post, I was a little worried using something fragranced, but my skin is mostly back to normal so I was able to use this product well without breaking out – yay! Dynamite Clothing was one of my most favourite places to shop before everything went downhill with my body. Amazing clothes and accessories – I was never unsatisfied whenever I shopped there. Last September, they launched a beauty and fragrance line with perfumes, hand lotions, nail polish and candles. I never got to try any of it because I stopped shopping almost 2 years ago. 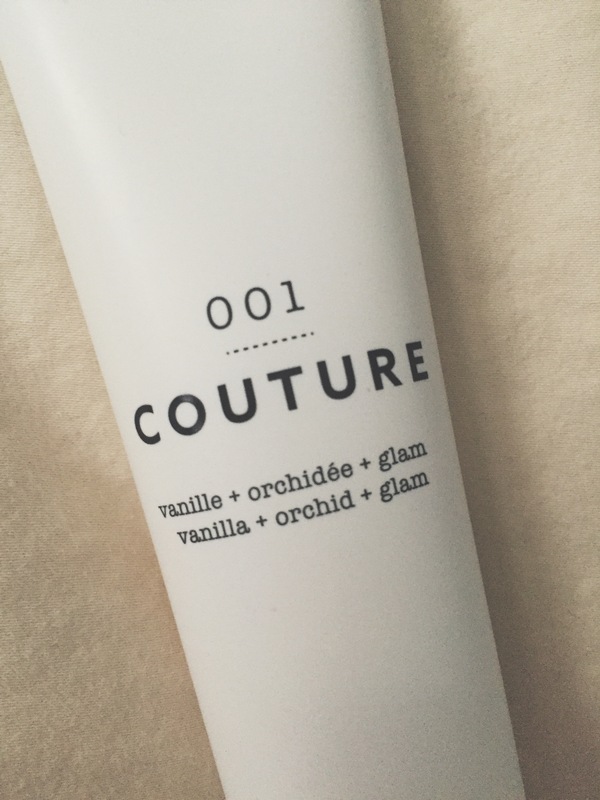 The hand lotion I received in my Babe Box was ‘Couture’. Let’s just say I am absolutely in love with this scent. It’s a mixture of vanilla and orchid. Vanilla is one of my favourite smells so the fact that this hand lotion has vanilla notes sold me. If I had seen this in store, I would’ve automatically been driven towards this scent just from the word ‘vanilla’ alone. The scent is subtle but strong – it isn’t at all overpowering to a point where the smell makes you feel ill. I think the most favourite thing about this hand lotion for me is the fact that it doesn’t leave your hands greasy. It actually moisturizes your skin while leaving them smelling heavenly.